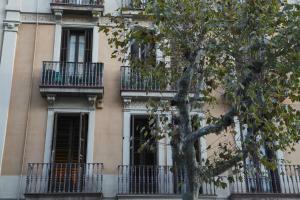 Offering free WiFi, Barcelona Eixample features a 3-bedroom apartment close to Gaudi’s Casa Batlló and La Pedrera Modernist buildings. Pets are allowed. 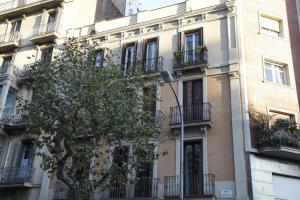 The apartment at Barcelona Eixample has air conditioning and parquet flooring. 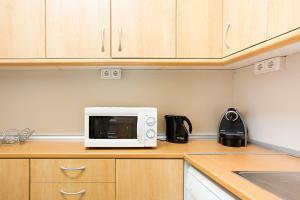 It has a lounge area with sofa and TV; and a modern kitchen equipped with a dishwasher and kitchenware. 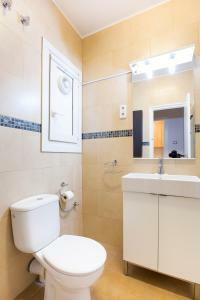 There is 1 bathroom and 1 toilet room. A washing machine and cleaning products are provided. 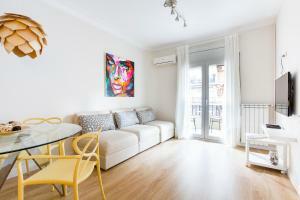 This air-conditioned apartment offers 1 bedroom with 1 double; 1 bedroom with 2 single beds and 1 bedroom with 1 single bed. 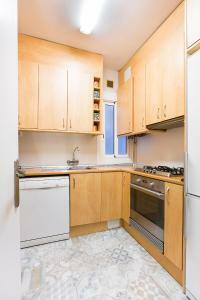 The kitchen is equipped with an oven, a dishwasher and gas hobs. 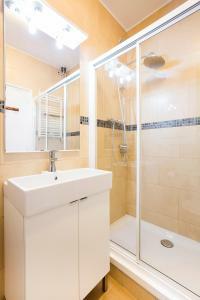 There is 1 fully equipped bathroom with a bath or shower, as well as an additional toilet. A washing machine and cleaning products are provided. This apartment has a balcony with city views. 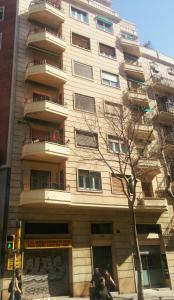 This apartment has a double bedroom, 2 twin bedrooms with air conditioning. There is a full bathroom. The kitchen is equipped with an oven and a dishwasher. Rate: € 171.00 ... € 199.50; select dates below to get current rates.